A graduate of the Swedish Institute Health and Science College in NYC, Khadija practices Therapeutic massage through an approach that focuses on relaxation as a tool for easing pain. Khadija noticed that her female clients shared similar concerns: body issues, safety concerns, stress and anxiety, self connectedness and the list goes on. No matter their career or relative wealth, each client had various needs. Acknowledging these needs, Khadija and Ade designed Life Wellness Center to offer their clients a safe place to relax, build on and begin again. Khadija's belief is that an empowered life is one that can be lived with the familiarity of touch. This belief guides her practice. She brings an intuitive caring demeanor into every session, a place of trust and calm. Her professional experience range from spas to medical offices and a growing clientele of people recovering from injuries, and chronic physical and emotional pain. A graduate of the Swedish Institute Health and Science College in NYC, Ade started his journey in the direction of therapeutic massage while working at an herb shop in the west village of New York City. Although, at a young age Ade discovered his love for healing and wellness from his grandmother. A seasoned Acupuncturist and Massage Therapist, Ade specializes in muscular pain and skeletal disease and is known for helping to remove powerful emotional blocks through body therapy. His goal is to assist others in their wellness pursuits. He recognizes that people manifest ailments and pain due to blockage both physically and emotionally which can ultimately imprison a person's body. But through touch therapy, Ade assists his clients in reconnecting with their bodies and beginning a healing process. 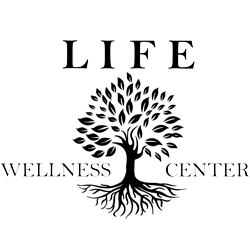 I am the newest addition to the massage therapy team at Life Wellness and I am excited to be a part of this family. My educational background comes from St. George's College (Trinidad, West Indies) and the Swedish Institute, College for Health Sciences (New York City). My training has given me the opportunities to working with these modalities: Deep Tissue Massage, Swedish Relaxation Massage, Sports Massage, Thai Massage, Pre / Post Natal Massage, Cupping Massage (Level I) and Aromatherapy. I am also a self-taught herbalist, and there are other tools in my arsenal. My Recovery Coach Certification also lends to me facilitating a more connected and client-centered environment. I believe that every client should have the freedom to ask questions related to their session and at the same time, allowing for each client to focus on becoming deeply rooted in learning new ways to nurture their mind, body and spirit toward a clearance for new energies. I love what I do as a healer and am ready to extend that love and light through the medium of touch. Can't wait to see you on my table! As a 26 year old Brooklyn native, I started my journey of massage therapy at the Swedish Institute College of Health Sciences, and, completed and graduated the course of massage therapy at New York College of Health Professions. I started on this journey because I am a nurturer and I know I have healing hands. My healing hands with specie and rhythmic flow aid the day to day person by alleviating any tension or discomfort through rhythmic massages with therapeutic techniques . I am trained in thai massage, deep tissue massage, trigger point therapy, and prenatal massage . It is my pleasure to assist you and I’m looking foward to meeting you soon. Bria A. Bailey is a certified aromatherapist and a wellness and beauty entrepreneur. A former corporate burnout specialist, she became a wellness champion and empowers others to reclaim their health and vitality through the use of aromatherapy. She became captivated with aromatherapy after using essential oils to help transform her life during and after experiencing depression. She is the founder of mindoilsoul.